TIME FOR A NEW SHADE SAIL? More often these days I am being asked if I can repair an old shade sail that I can see has come to the end of its life. The fabric of most shade sails has a life span of 10 to 15 years depending on their exposure to the elements. 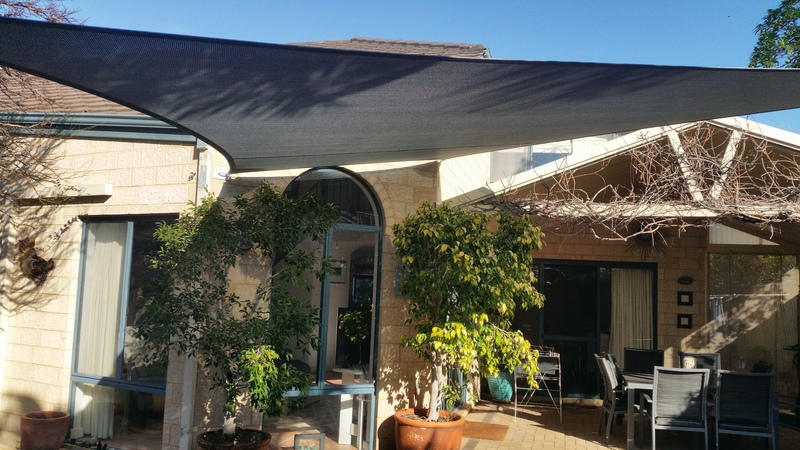 Some shade sails in the best quality fabrics can last 20+ years if well maintained. But when the fabric has reached its end of its life, the truth is they are not worth spending money on. It’s time for a new shade sail. As long as all the fixing points are still in good shape its a relatively cheap exercise and you get the advantage of choosing an exciting new colour. If you are ok with a ladder and measuring tape you only need to give me the measurements and I can give you a price for a brand new shade sail. If not I can take care of everything for you. 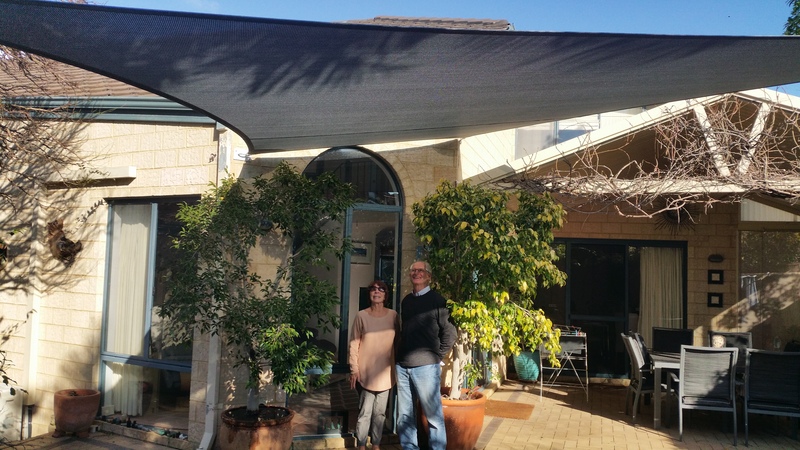 The couple in the photo got me to replace the old shade sail they had in the courtyard for nearly 20 years. But this time they not only got a new colour but I was able to custom design the sail so that it shaded the window better than the old sail. They were very pleased with the results.